Don’t be afraid to embrace the chill! 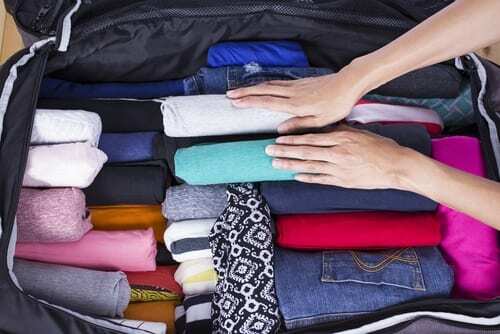 Whether you are headed to Alaska in January or London in November, this helpful list of packing tips for a cold weather vacation is where you should start. One of the hardest things about packing for a destination with low temps is fitting all that cold-weather clothing in your suitcase. 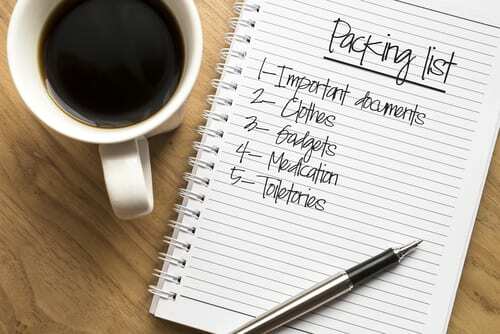 The things that will likely take up the most space in your bag include shoes, coats, and pants. That means each of these items must be as versatile as possible. The goal here should be to bring 1 (or 2 at the most) of each of these: shoes, coats, pants. Choose a pair of shorter boots that you can wear socks with, but that would also be wearable to a nice restaurant. Also make sure these are comfortable! As for a coat, you may consider bringing this on the plane with you to save as much space as possible. For pants, you can’t go wrong with a pair of jeans and/or a pair of black pants. When you’re packing for a beach vacation, things are a little more relaxed. Throw a couple swimsuits in your bag along with some flip-flops and casual attire, plus something more fancy, and you can figure it out when you get there! At least, that’s what I always say and it usually works out pretty well. However, for a cold-weather vacation, this won’t be so easy. The best way to prepare is to plan your outfits ahead of time. 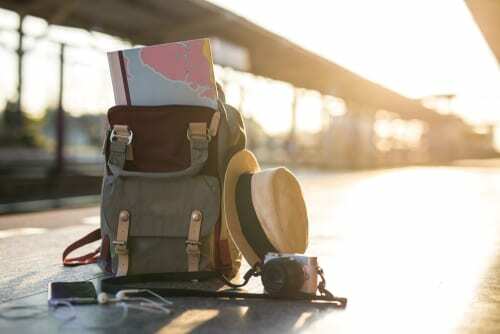 If you’re going to be gone for 7 days, figure out what you will be doing each of those days and pack things that can be worn multiple times and for multiple activities or occasions. Of course you will want to pack your gloves and scarves, but you also don’t want to forget other cold-weather necessities like hand lotion, chapstick, and kleenexes. You can always get these in-destination, but depending on where you are going it is usually best to bring your own. This is an especially good reminder for those of you packing for a cold-weather destination when your hometown weather is still warm. I always forget how pertinent my anti-static spray is when it’s all packed up during summer months! Instead, replace other tops with them. 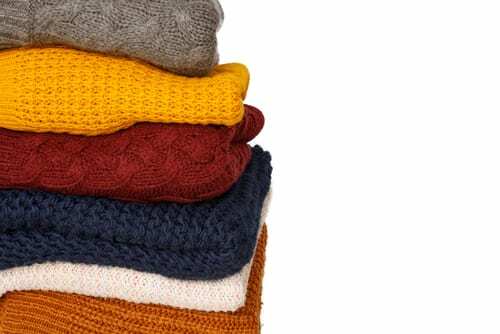 Sweaters are a necessity in cold climates, but they can add a lot of bulk to your suitcase. Rather than bringing several long-sleeve tops that will also need a jacket over them, replace a few of these tops with 1-2 sweaters that go with everything. You’ll thank us later! In my opinion, the best way to be prepared on a trip is to have the right bag to carry all of your necessities. I have been on a few trips where I forget to pack a good bag for day time that will fit my chapstick, extra layers, etc. I would choose one that is large enough for an umbrella or rain jacket, a lightweight layer to add under a coat, and all of your toiletries and basic things like wallet and ID. Call us today at 402-281-3022 to book your own cold-weather getaway!